A Day in the Life of a CHRO: Is the HR Generalist Dead? A blog created to go inside the work life of a busy CHRO who recently made the transition from a consultant to actually delivering on the work she has recommended for 20 years. This blog is a relaunch of Profitability through Human Capital written from a consultant's perspective. Book Cathy Missildine to Speak! Is the HR Generalist Dead? Today I had a very interesting conversation with a few HR consultant friends of mine. We were discussing the status of the external HR Consultant who is a generalist versus a consultant that specializes in particular area of HR. The consensus was that the generalist in the consulting world is dead. Maybe that is a strong statement, maybe not dead....but on life support. The reasons had to do with an over supply of consultants that are generalists and the need for organizations to hire subject matter experts that are deep in their knowledge on a certain subject, like compensation for example. I did raise the question about clients wanting a "one stop shop" approach for HR services. My thought was that HR Executives want to buy from one or two preferred vendors for efficiency and cost reasons. What are your thoughts on the "one stop shop" theory? So, then I starting thinking about the internal HR Generalist. What is their status? Dead, alive or on life support? From my experience, I have seen a mixed bag of HR organizational models. I see larger organizations using specialists at the corporate office and HR generalist in the field. I have also seen the reverse, generalist at corporate and specialist in regions lending support to managers. Of course, these models are dependent on industry, size and organizational strategy. For smaller companies, I definitely see more generalist then specialist as they have to wear multiple hats. What are your thoughts on the internal generalists? Do we need to get out our black dresses and suits? It's interesting I chanced on this article today as I was reflecting on my career which began in a start up as an HR Generalist and now my role in IBM as a Recruitment Lead. IBM is an institution and what better place to examine this phenomena than in IBM. I would say no, the HR Advisor, as we call the generalists - are here to stay. The role has now evolved to that of a Partner - a consultant who works along with business to solve real issues while improving employee morale, someone who finds ways to increase productivity while reducing costs. Interesting blog Cathy. As a generalist currently in the market, I notice that the demand for generalists remains high. I do however,see an equal amount of job openings for those specialized positions, such as training, talent development,compensation and recruiting. 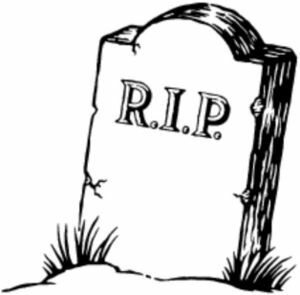 In my opinion, the HR Generalist is not "dead" as an internal consultant. Thanks Neha for reading and commenting. It sounds like IVM has kinda specialized its generalists to HR consultants. Gone are the days the "generalist" handle benefits, payroll. legal, etc. It seems we have moved the generalist into a consultative business partner role that allows them to specialize in assisting managers to grow the business. Statistics for HR...Correlation, Regression, OH MY! What is the Difference Between Metrics and Analytics? This Blog is a Rock Star! Click here for more information on Metrics that Matter. What is HR's Moneyball Metric? Employee Survey Data, Check..Now What?